Possessing one of the most tactically gifted football minds Tasmania has ever produced, Max Brown is without question one of the most successful coaches in the history of football on the north-west coast. Born in 1959, Brown’s long association with the game began with Ulverstone in 1977. A half forward flanker, Brown was a mainstay of the Robins sides of the 1980’s, playing 189 games over 13 seasons, winning multiple leading goalkicker awards and representing the NWFU on four occasions. His first foray into coaching came when he took charge of the Ulverstone Under-19’s in 1986, leading them to premierships in both of his two seasons in charge. This success ultimately lead to him being appointed Ulverstone senior coach in 1990 after his retirement as a player, and it was at this point that his coaching nous really came to the fore. With a brilliantly talented team under his command Brown led Ulverstone into the most successful era in the club’s history, steering the Robins to NTFL premierships in 1990, 1993 and 1994 in his first stint as coach, as well as a runner-up placing in 1991. His shrewd tactical mind and ability to quickly and cunningly formulate a plan almost on the spot saw him given the nickname ‘The Fox’ – a moniker by which has been universally known within football circles ever since. Brown departed Ulverstone after the 1994 premiership to take up an assistant coaching role with TFL side Devonport. He spent two seasons under Andy Goodwin before replacing him as senior coach in 1997, guiding the Power to 3rd and 2nd place finishes in his two years at the helm, although both finals campaigns ended in disappointingly early exits. 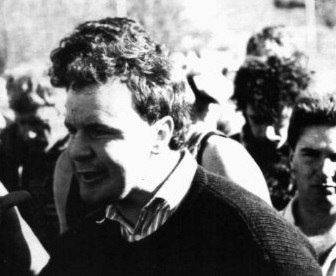 Brown stepped down as Devonport coach at the end of 1998 and spent 1999 out of the game before returning to Ulverstone as senior coach ahead of the 2000 season. As with his first stint, the club tasted premiership success in Brown’s first year in the top job, defeating Latrobe by 34 points in the Grand Final. A Grand Final loss to Burnie in 2002 precipitated another two year break in 2003-04 before Brown returned for one final stint with the Robins from 2005-08, adding a seventh Grand Final appearance (a loss to Launceston in 2007) to his coaching resume before stepping down permanently after 260 senior games and four premierships. Brown spent 2009-10 as a selector and assistant coach with the Tasmanian state side and during the latter season history repeated itself as Brown was appointed an assistant coach with Devonport in the TSL. Brown continued in this role until early 2013, when he was appointed senior coach after coach Paul Griffiths’ resignation. Devonport’s young list was a far cry from the powerful sides Brown had led during the 1990’s, but Brown had long been renowned for his ability in developing young players, and by the time he departed the club at the end of 2014 he had helped the Magpies’ young list make great strides in their development, resulting in a finals appearance under Brown’s successor Mitch Thorp in 2015. One of the foremost modern football minds, Brown enjoyed a close friendship with the iconic Darrel Baldock for many years. His insights on the game have been well received during multiple stints in the media on the coast, particularly as a columnist with the Advocate, as well as by interstate recruiters scouting local talent, for whom Brown is almost first port of call. A modern great of the game on the coast, Brown was an inaugural inductee of the NTFL Hall of Fame in 2002.